Now you can cuddle up at night with a handmade Frankenstein pillow book. Or toss it casually on your Victorian style fainting couch to add a touch of classic horror to your home decor. These hand sewn plush pillow books measure 8.5 by 11 inches. 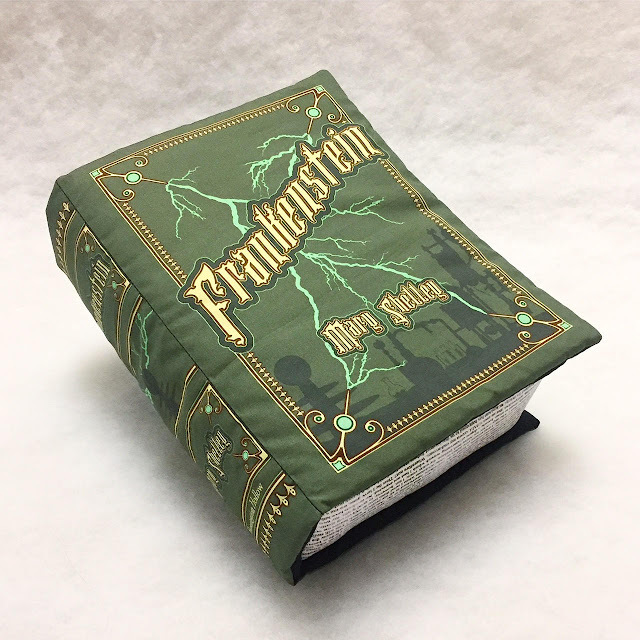 You can open the fabric cover to read the first page of Frankenstein inside. The pillow is made from cotton fabric and foam stuffing. 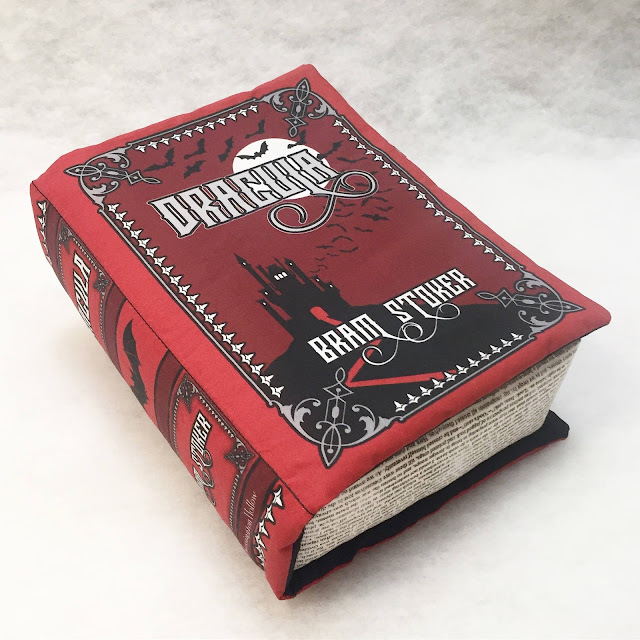 There's also a Dracula pillow book for fans of classic vampire literature. The first page of the book will be readable when you open the fabric cover. Peeking around the Brassington Hollow Etsy shop, I also spy a Jane Eyre pillow book and an Alice in Wonderland if those are more to your liking!